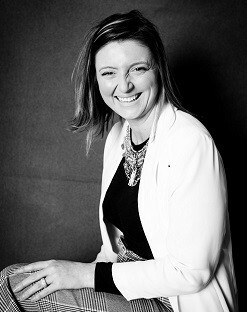 I have a relaxed but challenging approach to coaching and am often referred to as bubbly and fun. I am a very passionate person and this drives me to provide the very best for you and I will work hard to ensure you get the most out of our sessions. I have no fixed methodology. I am intuitive rather than process led and will pull from an eclectic mix of thought processes, techniques and tools depending on what is most useful to you and to create an environment that enables positive change and understanding. 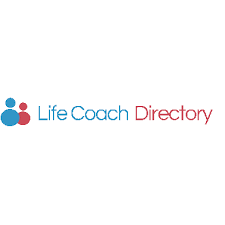 I specialise in team development and SME business change as well as 121 and group private coaching and I believe that my fun, brave and, when needed, provocative coaching approach can be applied effectively in any context and to any goals. I collaborate with Aoife Morrin of Happiness Transformation as part of our Reset and Reclaim programme of workshops, self-development events and day retreats. I also work with Debbie Lawrence of the Holistic Therapy Centre on my well-being events. All coaching relationships are different and there are several options to choose from as detailed above. On our initial free 30-minute call we'll discuss your requirements and ascertain whether I am the coach for you. From there and based on your requirements I will provide a proposed structure for our coaching work and the associated pricing and details. To read a little more, visit the Human Givens Approach website. The Human Givens Approach has influenced my own approach to coaching and my belief that the key to a happy, healthy and satisfying life is to understand what is most important to you and to pinpoint what you need in order to satisfy those priorities. I coach with an awareness of and focus on the systems you exist within and how they show up in your life and indeed our sessions. I also hate labels so whether you identify as an 'Executive', a 'Leader', 'Mother' or 'Train Enthusiast' I coach in the same way and treat you as a whole person no matter what the context. I am a great believer that Nancy Kline was spot on when she said "The mind that contains the problem contains the solution" and I use the power of collaborative thinking to help you unlock the best answers to your questions which only you could conceive. Unlike some therapies, coaching is not about assuming you are 'unwell' and need to be fixed. I work with the whole person and everything that comes with that, on the assumption that you are able to achieve transformational change in your life yourself. I am not the authority on your life and your future - you are. If you would like to know more about me, have a read about my background or what my clients say about their coaching with me.